Most of us are of the opinion is too much salt is not good for our health after all salt is nothing but Sodium Chloride. Salt is processed from salt mines or by the evaporation of seawater. Salt is also present in foodstuff like meats, vegetables, fruits in small quantity. Salt is used for various purposes, the most common of which is adding flavour to foods. 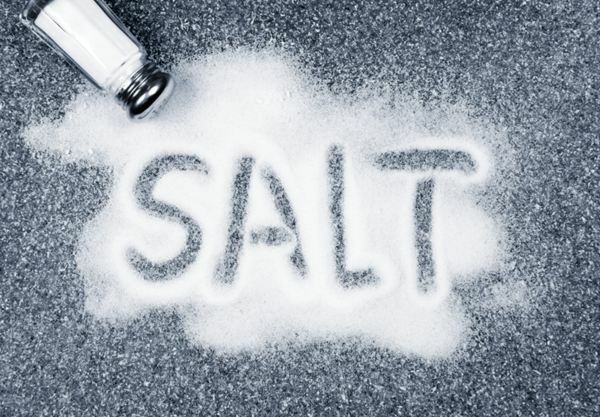 Salt is also used as a food preservative, because bacteria have trouble growing in a salt-rich environment. It is added to processed foods like canned foods, salted foods, and pickled foods, snack foods where it functions as both a preservative and flavouring. The main sources of salt in the diet, apart from traces of sodium found in excess in foods such as breads, cereal products, meat products, and milk and dairy products like Cheese. In addition, salt is also used as a preservative; texture aid, binder, colordeveloper, and for fermentation Control. The World Health Organization recommends that all adults should consume less than 2,000 mg of sodium which is contained in 5 g of salt per day. Guidelines by the United States in 2010 recommended that people with hypertension should limit consumption to no more than 1,500 mg of sodium per day. The body has natural mechanism for storing water and ions (Na+) sodium and potassium ( K+ ) just as excess calories gets stored as fat in the body. Thus, it constantly maintains sodium level in cells. Here are few salt substitutes specially to make food palatable for low salt meals. Spices,herbs,ginger powder, lot of onion and garlic in cooking or garlic and onion powder,vinegars,lemon juice,Kokum,tamarind paste, mango powder, sour yogurt, dried thyme leaves,paprika,celery seeds, white pepper, dry mustard, dried lemon peel, ground black pepper etc. Salt while is one of the most important ingredients for cooking, not all salts are created equal and there are many types to choose from. We have Himalayan Pink Salt, Kosher Salt, Sea Salt to name a few and then we have the very old plain refined table salt. Not only do all these various salts differ in their taste and texture but, they also have differences in minerals and sodium content. The most commonly used salt. It is highly refined to remove most of the impurities and trace minerals. It has 97% of sodium chloride or even higher. This type of salt is always added with Iodine. Sea salt is made by evaporating seawater. Like table salt, it is mostly just sodium chloride.However, it also has some traces of minerals such as potassium, iron and zinc depending on the place of harvesting and the way of processing.The darker the sea salt, the higher its concentration of impurities. Sea salt is often less ground than regular refined salt has a different taste than the regular table salt. It has a very potent “flavor burst” than refined salt. Himalayan Pink salt contains traces of iron oxide which gives it the pink color.These salts are covered by lava and surrounded by ice hence remains untouched. These salts are also away from pollution. It does contain small amounts of calcium, iron, sulphate, potassium and magnesium, and slightly lower amounts of sodium than regular salt. Kosher salt has a flaky structure that makes it easy to spread on top of your food. There is very little difference compared to regular salt and it has added iodine. It is also called as Magnesium sulphate salt which contains Magnesium, sulphur and Oxygen compounds. It is used both internally and externally. It is commonly used in bath salts and in beauty products. Internally it is used as saline laxative which is given intravenously. The above mentioned salts can be replaced with your regular table salt for cooking for its various benefits that it has. A post graduate in Nutrition and Dietetics, Neha Morche believes in inculcating good habits, lifestyle modifications and being active. According to her these will always take precedence over medicines like it did in ancient days. As a nutritionist, Neha counsels people for therapeutic diets and helps them understand the benefits of these diets for their physical and psychological well-being. In her previous avatar as a dietician her job was to only make diet plans according to the individuals’ daily routine. In most cases she realised people could never maintain their diet regime. Also, people would seldom acknowledge their weak points or improve habits and implement them in their daily routines. GOQii, in that sense is different as we will work towards changing people’s habits in a positive manner and motivate them to lead a healthy lifestyle. In her free time she loves to listen to music. When she wants to get into her meditative mood she likes to go trekking. She has done treks in the Sahayadri ranges of Maharashtra and Himalayas and aims to do Mount Everest. She says that treating food as a medicine will help us to maintain overall health and help enjoy life to the fullest. Finally, Neha’s fitness regime is to stay positive and respect your body and make life simpler.